If you're working with small business owners, you may think that branded content is out of their budget. However, there are many low-cost ways to introduce great content for your clients that doesn't involve a movie set. The concept of branded content is simple: you provide something of value to your readers that reminds them of your brand. Studies show that branded content makes companies more memorable to potential customers than typical advertising. If you're not putting it out there, you're losing out on an incredibly valuable marketing opportunity. Here are some great, low-budget types of branded content ideas and opportunities. Don't shy away from providing industry tips. By incorporating "how-to" or DIY articles, you can give value to your clients without a film budget. Make sure that the guide is topical to your clients' readers -- for instance, if you're working with an HVAC company, it probably doesn't make sense to do an article on programming garage door openers. But finding content that's appropriate for your clients' audience is pretty easy. Just think about the questions they get asked most frequently and create content that answers those questions. By saving their consumers a call, you help them gain trust, which means they'll call your clients when they have further questions. Another branded content idea that you can do for your clients is give their readers the information needed to purchase wisely. Ask your clients what they usually recommend to their customers, why they recommend it, and what it can do for their customers. By having this information on their website, they can establish their brand as an authority and help people all over the globe make informed decisions. Just because you can't go for the full film treatment doesn't mean you can't make videos. If you're interested in creating content that's more accessible to many people, you might try to create a YouTube channel. Do keep in mind that this is an investment and it's going to take some amount of effort to get started. And, just like your clients' blogs, it's going to need regular attention. Keeping it updated is the top way to make sure the videos get viewers. And of course, you can cross-post the videos to your clients' blogs, so it's a good way to keep everything working together. Another great way to get branded content ideas for your clients' blogs is to invite guest bloggers. Guest posts can be a great way to change things up and offer a new perspective. They can also lend legitimacy to your clients' businesses if they are well-known in the industry. However, you do need to be careful with guest posts. Too many can actually damage your client's blog reputation, and if the content isn't high enough quality, it could also damage their SEO. You'll also want to make sure that it's appropriate for their blog. Just because someone inquires about doing a guest post doesn't mean you have to, or should, accept them. As you can see, there's plenty you can do to produce branded content ideas, even if you're working with small business owners. Don't let the big names and big budgets deter you from taking hold of one of the most powerful marketing tools you have in your belt. And don't be afraid to try new things. You might find that there are more ways you can branch out and provide quality content. 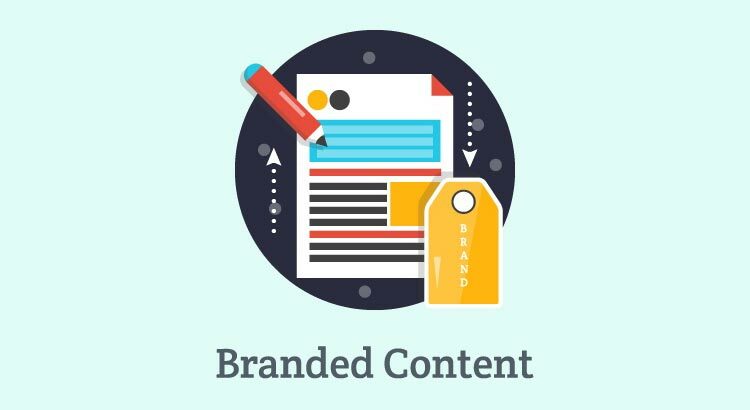 To learn more about branded content strategy, check out our other blog post, "How to Create Branded Content That Your Audience Will Read."